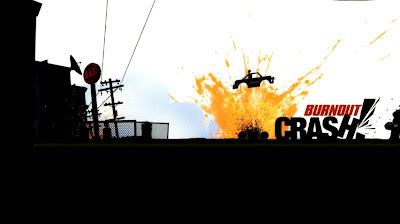 Recently, Criterion have released another video for their Burnout CRASH! game! This video features David Hasselhoff as he uses his destructive kung-fu fireball to blow up a Pizza Truck. Brought to you by Electronic Arts and great for all ages, Burnout Crash! returns to the fan favorite Crash mode of barrelling into traffic to cause the most amount of damage. Watch The Hoff show off his Microsoft Kinect moves to earn high scores and continue his reign as Master of Disaster. Featuring colorful graphics and brand new features including the first game mode designed exclusively for Microsoft Kinect. Two teams can use gestures, like The Hoff's fireball move, to cause the most of amount of destruction. With Kinect Party Play, up to 14 players can split into teams in turn-based gameplay on one television to crash and burn in an all-out battle!